Heat the olive oil in a 12"+ fry-pan and saute the peppers over high heat for one minute, stirring. Add the zucchini and tomatoes, saute a second minute. Add the garlic and saute a third minute, still stirring, of course. Season the salmon with salt and pepper. Push the vegetables to the side of the pan and put in the salmon. Cook 1 minute and then turn the fish over. Add your wine. Sprinkle the veggies and fish with your herb(s), parsley and cayenne. Spoon some veggies over the salmon. 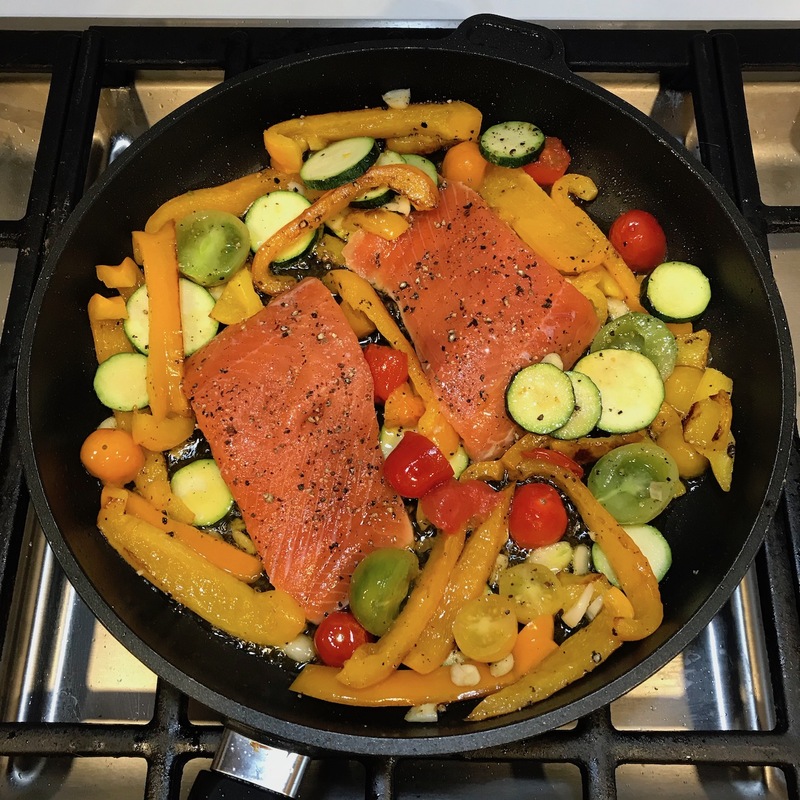 Put the lid on the fry-pan and cook at low heat for 6 to 8 minutes or until the salmon flakes when fork-tested.